Arsenal are one of several clubs showing an interest in landing Manchester United goalkeeper Dean Henderson, the latest reports say. The Gunners will have German star Bernd Leno as their only senior, experienced, shot-stopper in the summer, after veteran ‘keeper Petr Cech announced that he will be retiring at the end of the campaign. According to a sports television channel ESPN, via the Metro, Arsenal, Tottenham Hotspur, Bayern Munich and Juventus are all interested in a deal for Henderson. 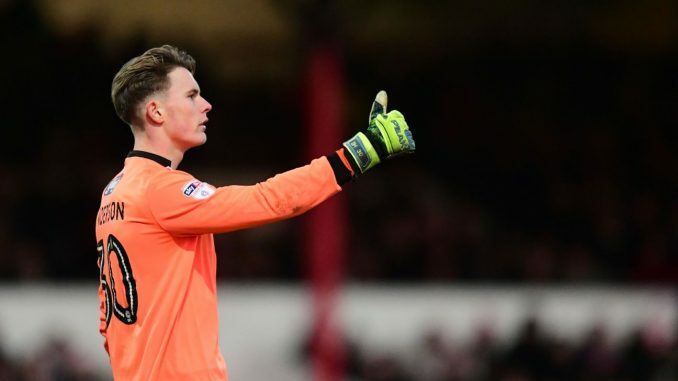 The 21-year-old star, who named in the League One Team of the Season the previous term, has been a key figure for Sheffield United in the EFL Championship this campaign. Dean has played every minute of their league campaign to date, with Sheffield United currently sitting third in the standings – three points behind second-placed Marcelo Bielsa’s Leeds United. Ole Gunnar Solskjaer’s Manchester United are said to be determined to keep the star at Old Trafford, though, as they believe Henderson could become their number one in the coming years. This season, in the youngster, has made 30 appearances, conceded 31 goals and registered 10 clean sheets.